If you want to embed the time line of your twitter account to your Blogger blog or in any website it’s quite easy to setup. 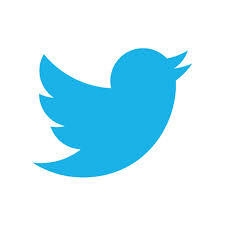 In order to add twitter feeds to your blog, first open your twitter account and go to settings and navigate to widgets. Settings>Widgets and Click on Create New. In this page you can customize the username for which you want the timeline to add in the website/blog. There is also options for exclude replies and auto expand photos by clicking the check boxes. Below that you can adjust the height of the widget. No need to bother about the width of the widget, Twitter will adjust it automatically as per your Blog’s template sidebar width. And then you can select the theme of the widget between light and dark, light is the default theme. You could also set color for the links in the widget. Click on Create Widget and get the codes. 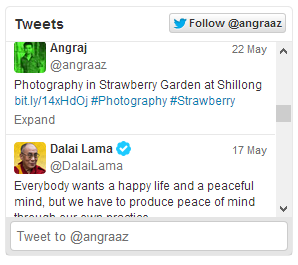 If you want more advance customization you can prefer a dedicated twitter developer page for widget configuration.